Do you enjoy reading about all the discoveries made in the past? Are you interested in the first clockwork inventions? The final part of the article series is here. 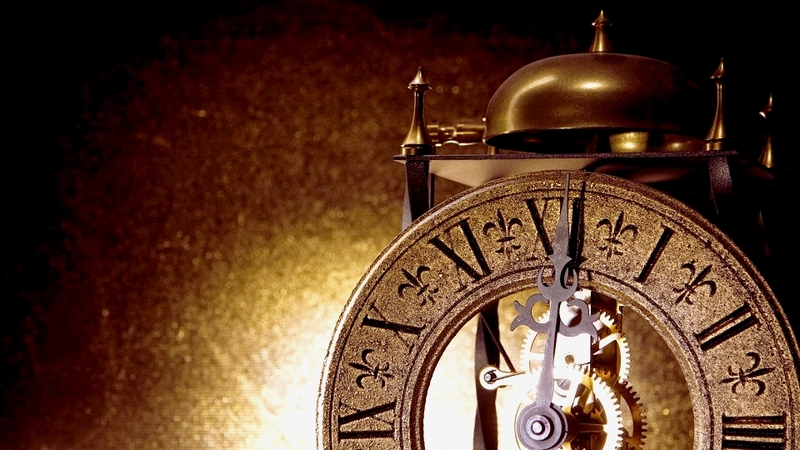 This time you will learn something new about the mechanical clock..
We are certain that the mechanical clock was already in existence in 1320. But what was before that? That's really hard to tell. It´s quite possible that the time of invention came a lot earlier. 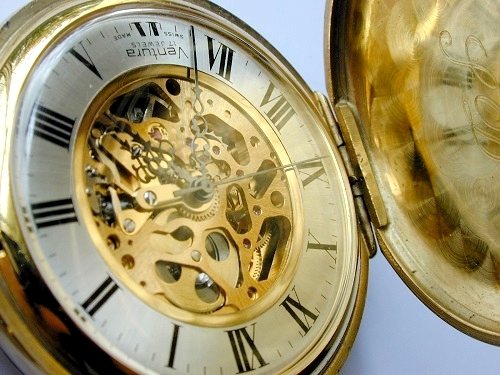 It is more than possible for the first clock to be made between the 11th and 13th century. 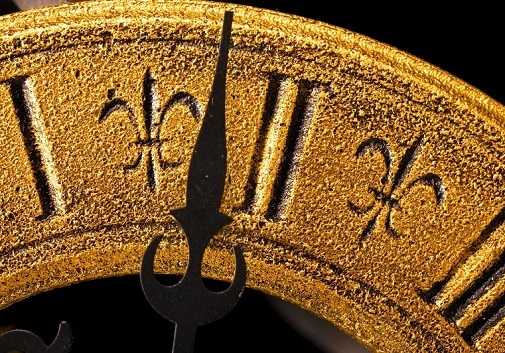 There's a huge difference between the oldest and currently made clock. First prototypes were powered by a weght, had no dial and announced time by ringing a bell, also had to be re-set after a few hours. You could find them in towers for example. The fundamental change happened in 1410, when a man from Florence invented a clock driven by a mainspring. Approximately 100 years later watchmaker Petr Henlein constructed the first pocket watch ever, which worked on the same principle. Its movement was small and easily fitted even into a pocket. Watches in general weren´t that accurate at that time. It got better thanks to a pendulum in 1675 and followed by a minute hand appering on a dial. The pendulum clock reminds us of old films or our grandma´s house, just like old cuckoo clock. So obviously, the clock was popular for many generations. Nowadays they work mostly as a decoration, although they are still useful. From the 17th century when both pendulum and peculiar cuckoo clock were invented there has been significant development. A pendulum could be used only with big clock and even though it was quite accurate, this principle could not be used making watches. The first attempts to built a pocket watch driven by mainspring took place in the 15. century, but they weren´t successfull yet. Significant turn of events happened thanks to invention of the spring and the balance wheel. Quite interesting is that chronometers were invented in 3 different countries almost simultaneously – in Switzerland, England and France. From that moment watch became portable and the real horology boom started. Initially, chronometers were very expensive and only with the arrival of the 19th century its price went down. The desire to know exact time was increasing and various clocks and watches were mass produced. Gradually a self-winding mechanism came into existence. First wrist watches were crafted at the beginning of the 19th century, although about a watch and bracelet people talked already in the 18th century. At that time it greatly spread even among women, who consider women´s wrist watch mainly an another luxury jewellery. Interest in mass production of wrist watches was increased at the end of the 19th and the beginning of the 20th century thanks to military forces as they couldn´t used pocket watches in a combat. Requirements were clear: watch has to be small and practical. However, this was far from over and in 1915 the first ever waterproof men´s watch was created. In the middle of the 20th century comes further improvement: a watch with quartz oscillator was developed (with deviation not more than 10 seconds per year). Seiko brand pushed through their production in 70s. But atomic clock are still considered to be the most accurate clock nowadays anyway. Watch design and their technical features are constantly evolving through the time according market demand. For example Japanese Casio comes with a lot of interesting features (such as highly durable Casio G-Shock watch), Michael Kors determine fashion styles and Armani combines functionality and elegant style. There are tonnes of possibilities nowadays, all you have to do is to choose according your taste and style. You can have either a classical analog watch or a digital watch. And even though it might look like you already have everything you could ever wish for, technical progress is still going ahead and you can look forward to a lot of new interesting improvements. Famous watchmakers are still going to look for ways how to make our life easier and how to make even the bravest dreams come true.